Taking a breather . . . be back soon! 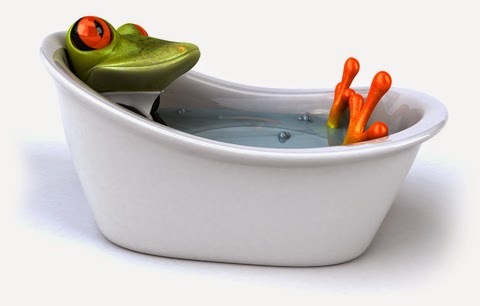 The team here at the Lilypad is taking a break, but don't despair! We'll be back soon, with more merriment and mayhem! For those of you who've asked, Moses the Studio Cat seems to be holding his own, with no more weight loss. The tumor is a tad larger, but not growing really fast. The meds are helping him keep interested in eating. (Grin) Never thought I'd have to worry about that with this cat. In time, the meds will not be as effective, but for now, King Moses has the run of the house, and the best in treats and scritches! I'm so pleased that many of you let me know that you enjoyed the Pets Show. That's awesome! I hope that you will talk it up and next year's show will be even bigger and better! 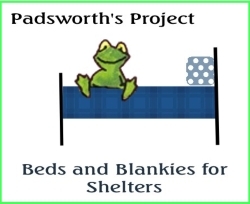 During this coming year, we hope to have a Padsworth's Project linky party, and help more shelter pets stay comfy and happy. Ready to announce our winner! 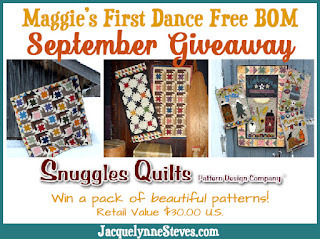 Special thanks to Deanne, of Snuggles Quilts, who sponsored this great prize for Block Four of the quilt along! 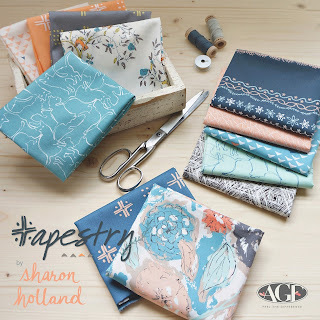 Be sure to hop over to her website and follow for inspiration! Who did Mr. Random Number Generator choose? 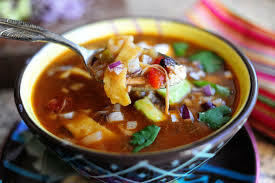 Mmmmm....I like to make Chicken Tortilla soup! 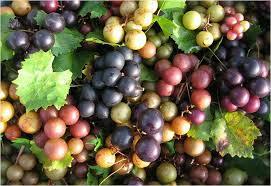 So yummy when the cold weather hits us. Thanks! Hey! I agree -- that is another yummy soup for the coming cold weather! Ooooh, now I feel like I need to wash my mouth out.....I actually said "cold weather"! Snap, I did it again! Congratulations, Wendy, and enjoy! We'll be in touch via email. Thank you to everyone who entered! 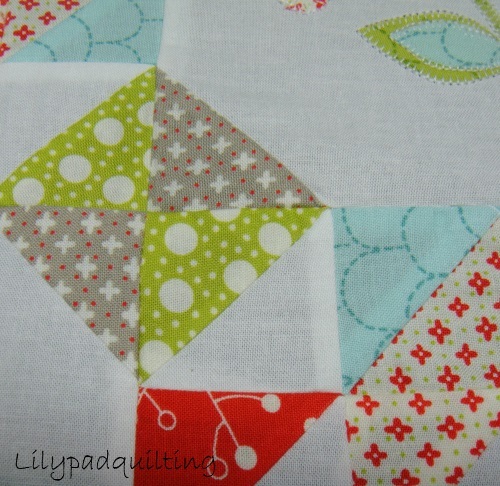 Sure hope you are sewing these blocks along with us! Jump over to Jacquelynne Steves' site if you want to sign up! 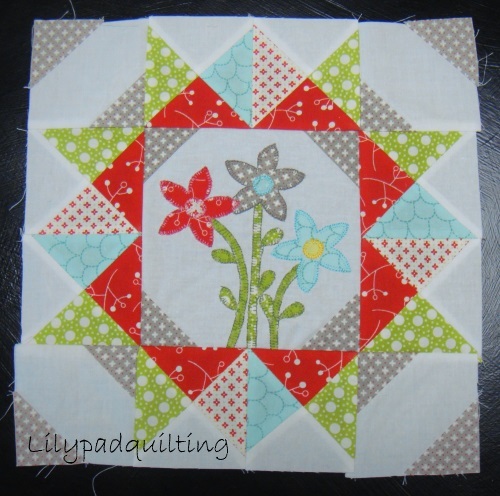 Block Four of Maggie's Dance - giveaway closed now! 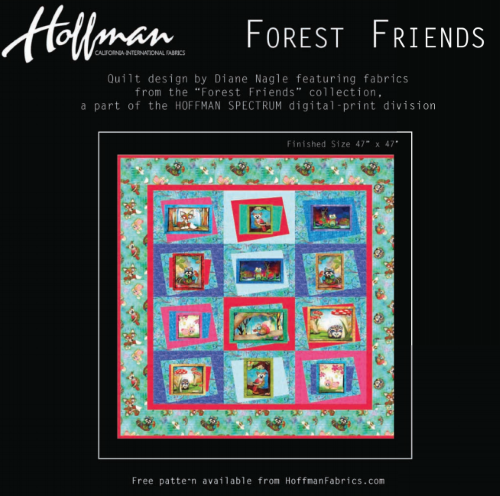 It's time for the fourth block in our Maggie's First Dance quilt along, with the cute pattern from Jacquelynne Steves hitting your inbox today! 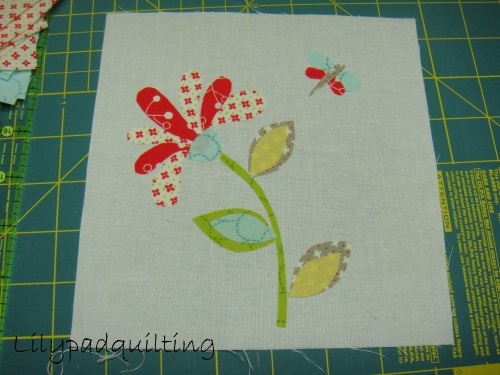 Here is the center of the block; I'm doing applique, and I love this flower and butterfly! Jacquelynne's patterns are always so clear and well written - I love how she makes the half square triangles and the flying geese, too! 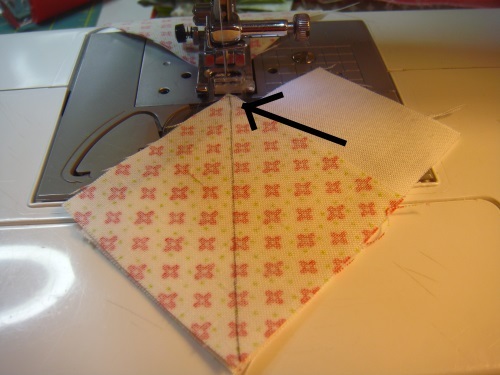 I have a tip for you today -- this may be something that you don't have to worry about, but sometimes I have trouble starting on a corner and stitching. My machine sometimes wants to be ornery and try to eat the corner and make a mess! Tell me you have had that happen too! 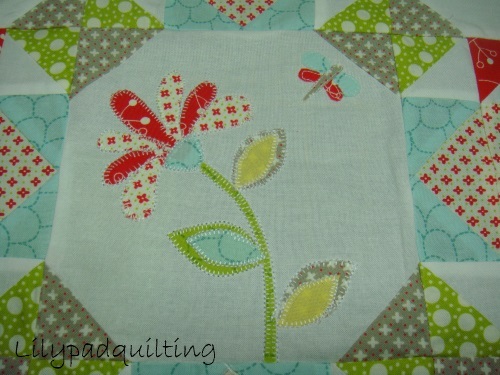 Jacquelynne's pattern calls for these white rectangles and the squares you see above. She instructs us to match the bottom corner of the square with the bottom corner of the rectangle. 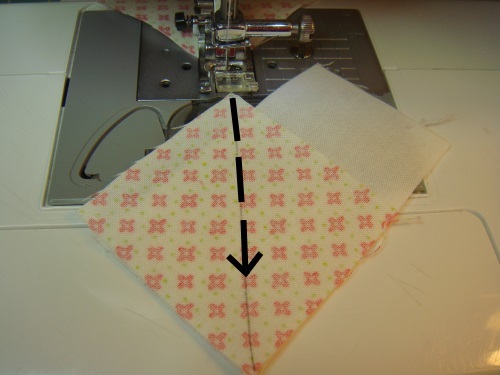 Don't stress about the top not lining up, OK? 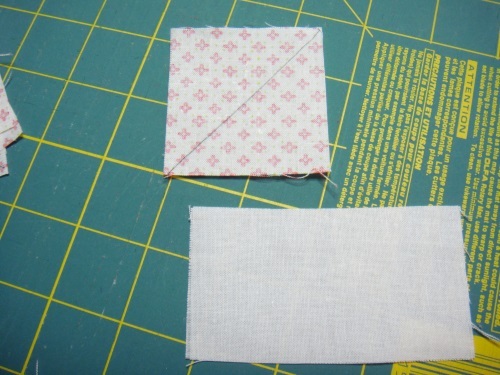 Sew along the line you made on your square . . . 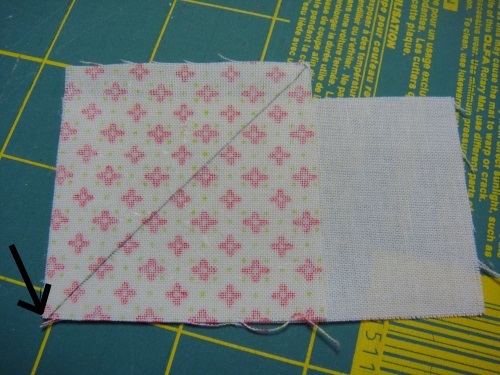 I start my stitching at the top of the square, not at the bottom. I get much better results that way! 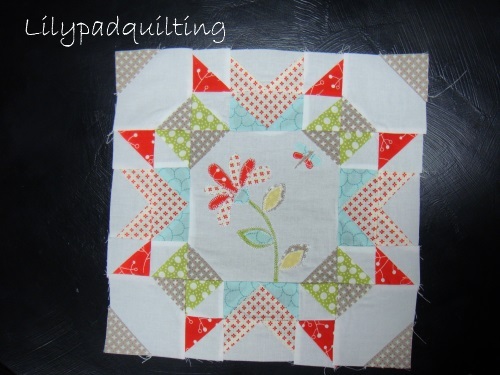 I hope you will go to the other bloggers' corners of blogland and check out their blocks, too! We're coming down the homestretch of this quilt along . . . I hope you are sewing along with us. I expect you'd like to know about that giveaway, am I right? 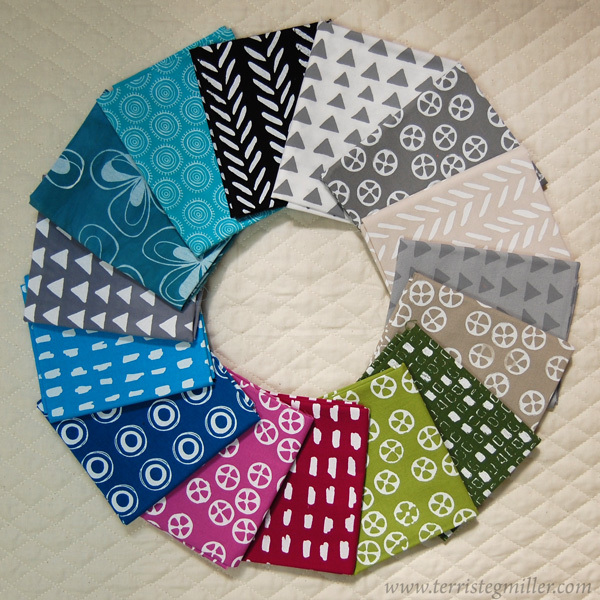 We have a guest blogger this month -- Deanne from Snuggles Quilts is offering a pattern pack! Check this out! And what do you have to do to win this prize? We'll have a random drawing of the comments left on this post. Tell me what kind of soup do you love to make or eat in the fall? 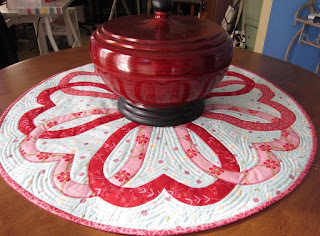 Yep, that cool weather is coming, and it always makes me think of making soup and cornbread! I'm an old-fashioned Southern gal! We'll leave this giveaway open till Saturday, and if you are a follower, you can tell me in a second comment, to increase your chance of winning! 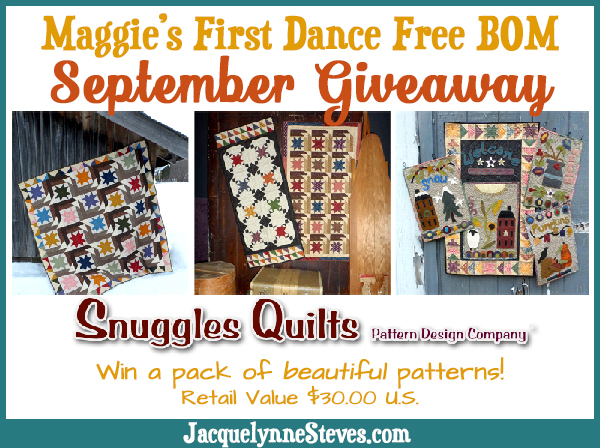 This is open to any quilter in this galaxy, so be sure to enter and try to win! PLEASE leave your email address for me in this fashion: doodlebobber(at)yahoo(dot)com. OK? I was sad to have to re-draw names for our recent giveaway, because I had not way of reaching the winner! Don't let that happen to you! These look like great patterns! 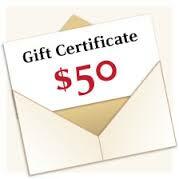 Thanks, Deanne, for sponsoring the prize! Pets on Quilts 2016 winners!! After some pencil sharpening, some counting on toes and fingers, some extra cups of Java, and some consultations with Mr. Random Number Generator, we have our winners!! 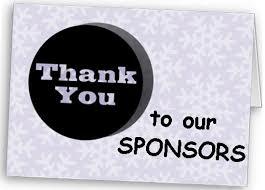 I need to thank all of our wonderful sponsors before we get started. 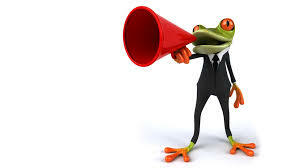 I hope that all of you Lilypad followers will visit their web sites and their Facebook pages . 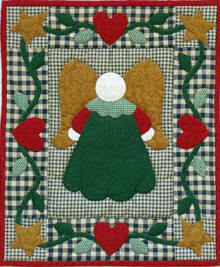 . . tell 'em thanks for their sponsorships, and when you need quilting supplies, please go to their sites and purchase! We couldn't have our show without them! 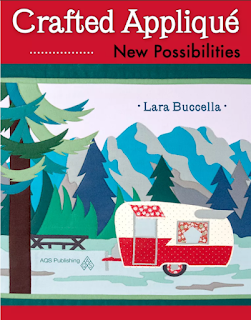 Jeffree Itrich, the Fat Quarter Shop, Sharon Holland Designs, Lorna McMahon of SewFreshQuilts, Lara Bucella, the Green Fairy Quilt Shop, Hoffman Fabrics, Bejeweled Quilts by Barb, Clever Tools, and Terri Stegmiller Art and Design. We love them all! Thank you! Let's announce our Viewers' Choice Awards first, OK? Buddy's human (Michelle) wins a $50 shopping spree at the Fat Quarter Shop! Congratulations! For the Cat on Quilt category, there were several that gave Rocky a run for his money, but in the end, he prevailed with more votes than any other. 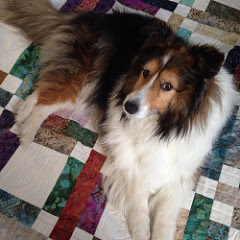 Congratulations to Quilter Rocky! His human wins the beautiful fat quarter bundle from Terri Stegmiller! 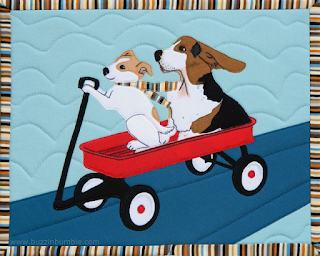 Yep, the Other Animal Category is won by the ducks from Kathy's Quilting Blog! 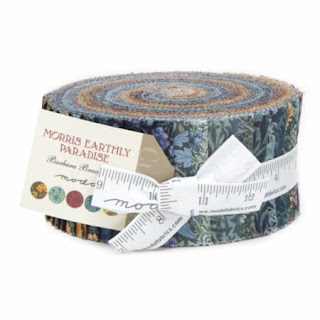 Kathy is the lucky winner of the beautiful Morris jelly roll from Green Fairy Quilts! Congratulations! The Pet Themed Quilt Project Category was a hotly contested one . . . our winner was Lara, for her mug rug of Wilbur and Charly. They're moving fast! Wilbur's human wins the Tapestry fat quarter bundle from Sharon Holland Designs! Congratulations! Now, it's time for our random drawings! I have to tell you, there were a couple of winners that missed out -- I had to redraw names because I couldn't reach someone by email. Thankfully, most of our comments either provided me with an email, or had their settings just right! Heartiest congratulations go to these lucky winners! 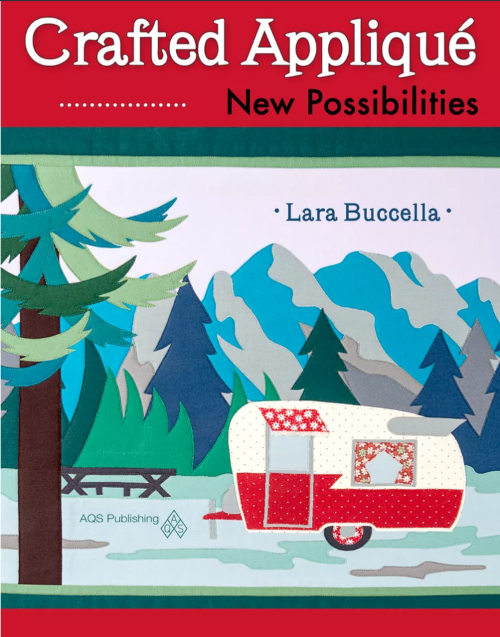 Loris, PattyA, Nancy J, Katy M, and Carol Beads and Birds have all won a pattern from the talented Lorna at SewFreshQuilts! Congrats! 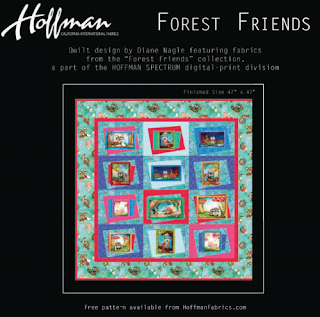 Cathy is the winner of the gorgeous Forest Friends kit from Hoffman Fabrics! Congrats to Cathy! 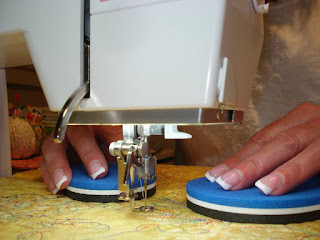 Janice Holton wins the set of Grip and Stitch tools from Clever Tools! Congratulations - I know you will enjoy them, because I use a set and love them! Helen is our winner for the three patterns from Bejeweled Quilts by Barb! Yay! 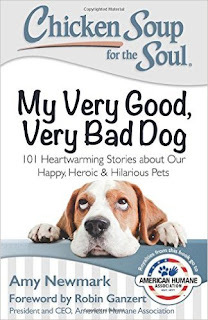 The signed copy of My Very Good, Very Bad Dog goes to Heide! Congrats! And a shopping spree at Fat Quarter Shop is in Tish's future! Congratulations, and enjoy! I truly wish that I had a genie or something, so that I could have awarded prizes to everyone, from the folks who shared their adorable pets with us, to those that simply participated in the show by commenting and voting. And I'm truly thankful for my PR Angels -- you certainly "earned your wings" this year, by spreading the word about our show. From the bottom of my heart, I thank you! We'll be reaching out to our winners via email! Padsworth, DragonDrop and I will be taking a break for a bit, as we rest from our labors. We hope you enjoyed the show, and that you will be making plans to join us again next year! Bear with us as we tally the votes . 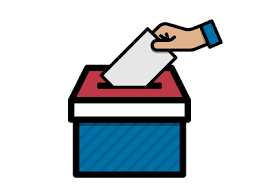 . .
We'll be back as soon as possible to announce the results!